With the first Australian Go Congress set for January 2015 in Sydney, look for more activity Down Under in the months ahead. There’s a new Melbourne City Go Club, complementing the University and Victorian clubs, meeting on Wednesday evenings. The Perth Go Club has settled down to a fixed location at Tzu Chi Australia, 247 Fitzgerald Street, West Perth, meeting on Saturday afternoons from 1pm. 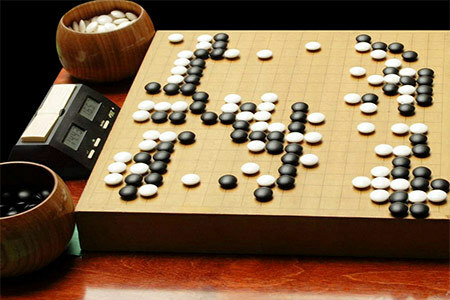 Contact clivehunt@bigpond.com if you’re in the city and you want to play some go. The Armidale Go Club in northern New South Wales meets every Wednesday at 6pm – more details at the flash new web site. Complete club listings here. And mark your calendars for these upcoming tournaments: July 26-27: 2014 Australian Capital Territory Championships, Australian National University, Canberra; August 17: 10th Korean Ambassador’s Cup, Sydney, New South Wales; October 5: 4th Gold Coast Classic, Helensvale, Queensland; December 6-7: 37th Australian Championships, Eastwood (Sydney), New South Wales. Latest events calendar posted here http://ift.tt/1kKiSeF.au/Events.php. Australia also has an active online scene: David Mitchell 5d of Sydney City Go Club has set up an Australian room on the Online Go Server, and there’s an Australian ladder in the OGS Australia Room, as well as on the KGS Go Server. And finally, 13-year-old Aaron Chen has been selected as this year’s Australian representative to the Korean Prime Ministers Cup, racking up the largest representative points total after his performance in the 2013 Korean Ambassador’s Cup in Sydney. All else being equal, he will be the youngest player ever to represent Australia internationally in a world championship.